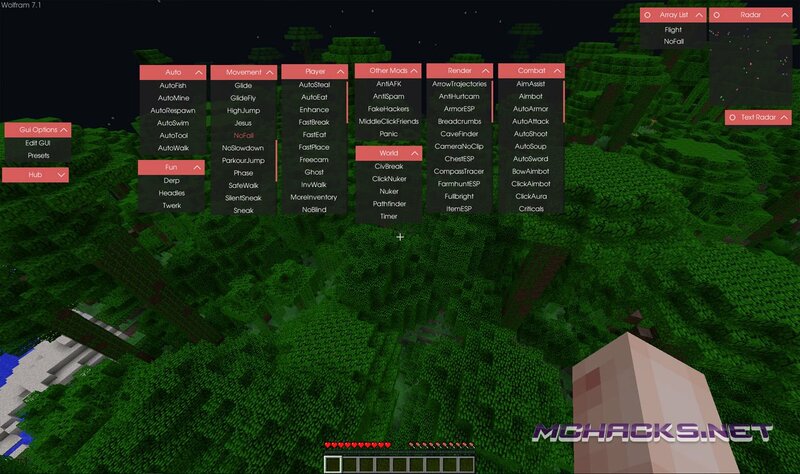 Wolfram is now updated to latest version of Minecraft (1.10.X – 1.10.2). Download this awesome Minecraft hack below. Added Watchdog Bypass: Bypasses Watchdog, Gwen, etc. by preventing KillAura from attacking their fake entities. Redesigned Player ESP: It is now a simple box rather than a round cage.